I've purposefully kept away from this franchise as I wasn't too keen on the original sequels, as they just reeked of profit making. However, I found this to be a decent follow up on the original. Though, after reading the reviews on IMDb, I find I may be the minority. I also have to admit to having a sense of dread when I saw it was directed by Gulager and written by Soisson, This is because I've recently put myself through the trial of watching the Hellraiser films again. Though the first four are superior and are a vague continuation... the rest is just money making fodder... and Gulager acts in the latest, "Judgement"... and Soisson wrote "Hellworld". Luckily my panic was unfounded. This is the story of Ruth (Millar) and her son, Aaron (Scott) who are trying to survive in an unfriendly and troubled rural America. Years before, Ruth had been a member of the cult worshipping "He Who Walks Behind The Rows". 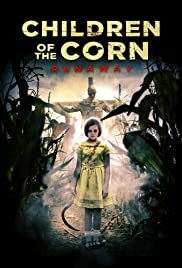 Then when she found herself pregnant she took drastic measures to save not only herself but her unborn son; so she burned the corn and the children living within it. From then on, she kept to small towns and villages, sleeping in her truck and trying to make enough money to stay alive. Though free from the horrors of the cult she is nonetheless scarred by them and her actions. Suffering from a form of schizophrenia she suffers from visions of the murderous children. These can be brought on at any time by a sight or a sound, especially the sound of locusts. Then one day she turns up in the small town of Luther and ingratiates her way into a job working for a local mechanic, Carl (Andrews III). Though there's something wrong in Luther... There's a little girl skipping through the village leaving a deadly bloody trail behind her. What I liked about this film was the slowness of the story. A lot of the reviews on IMDb claim this film to be boring. Though, I think that the Director Gulager uses this inactivity to build the atmosphere of the town. This is a place where very little happens and where there's very little to do. In this township, this has created a kind of quiet loathsomeness. The customers in the diner like to whine and moan; most eat and sit by themselves. Even the scenes at the school you notice that the kids don't run about or play happily. This type of atmosphere can create hatred and bigotry, so it's not too much of a stretch to believe that the only coloured guy in town is despised and disliked. Then when his true nature shines through you can understand a little about why he's unpopular. This actually added a deeper underlying story that made the film for me. The other nice thing is the dream sequences. This adds a jaggedness and a slight confusion into the normality of things. Knowing a little about schizophrenia, this is about as close as you're likely to get to some of the visions a sufferer may have, depending on their "phobia". To be in the real world one second and then something triggers your mind to throw in a false vision the next... I wouldn't want this to happen to me. These are handled superbly by Gulager. I really did love the diner massacre, even this is done in ultra slow motion... it's nearly still photography, though not quite. 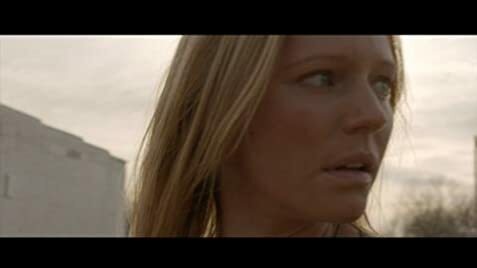 For a vicious and violent scene, it's beautifully constructed and shot. Much respect to the Director and the Special Effects guys and gals. There are also grainy shots of barren wastelands and barbed wire. I initially hated these as they appeared pointless. However, by the third one, I realised they were actually helping me to feel bleakness of the mood, as well as the bleakness enshrouding the village. Then there's the acting which is well above par for a horror movie these days. It was nice to have a cast who portrayed their characters well. There are no minor roles in this film. And I have to give credit to both the Director and the actress Sara Moore for making Pretty Girl a really eerie character... even though she's the most smiley and happiest person on screen. Very nice transposition. This, in turn, makes the second climax, which happens while the end credits play even more creepy.